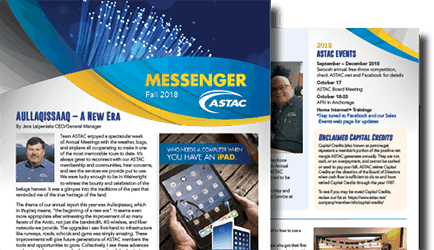 In keeping with our core belief that everyone in our communities should have access to reliable and affordable telecommunications, ASTAC is proud to offer assistance programs to qualified applicants through our Lifeline and Link-Up programs. For information on getting started with Lifeline, refer to the FCC’s Lifeline Program web site. Lifeline is a federal government assistance benefit that provides a monthly discount on fixed/mobile broadband or voice service. Only ONE Lifeline discount is allowed per household. Customers must remain with their service provides for at least 60 days (voice) or 12 months (mobile/fixed broadband) before they can switch their benefit to a different provider. Members of a household are not permitted to receive Lifeline service from multiple telephone companies. Lifeline is a non-transferable benefit and may not be transferred to any other person. Willfully making false statements to obtain the benefit can result in fines, imprisonment, de-enrollment, or being barred from the program. Violation of the one-per-household limitation constitutes a violation of the FCC’s rules and will result in de-enrollment from the program and, potentially, prosecution by the U.S. government. Includes any standard charges imposed on qualifying low-income individuals on Tribal Lands as a condition of initiating service, including both line extension and initial connection charges. 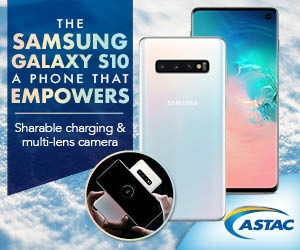 The customer will receive assistance for 100% of connection fees up to $100.00. This is the maximum federal assistance available. The supported services under this section do not include charges assessed for facilities or equipment that fall on the customer’s side of the demarcation point, i.e. customer premises equipment and inside wiring charges. Any additional installation charges or line extension charges will be the responsibility of the customer. Expanded Link-Up Service assistance shall be provided a subsequent time only for a principal residence with a different address than the residence where Expanded Link-Up Service was previously provided. Proof of program participation is required. Proof of income is required to confirm eligibility & an application must be completed.